How to remove acrylic nails at home without damage. How to remove acrylic nails at home - it's easier than you think. Acrylic nails are pretty great. Unlike a gel, shellac or normal manicure, they’re chip proof, life proof and if you’re careful, they’ll last for weeks on end, no touch ups needed. There’s just one niggling issue, and that’s the removal process. This got us thinking – surely there must be an easier, and most cost-effective, DIY option instead? 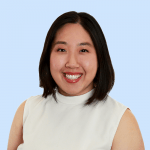 To find out, we asked expert, Lauren LaRouge. 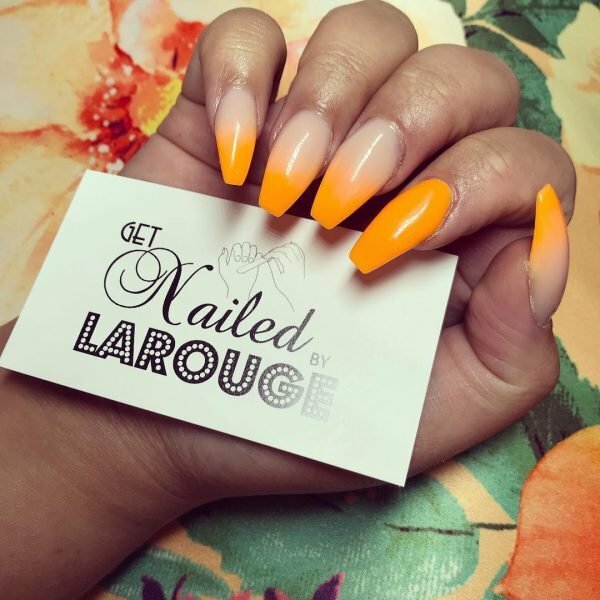 The woman behind one of Sydney’s top nail salons, Nailed by LaRouge, the burlesque-dancer-turned-manicurist hasn’t kept her hands acrylic-free in over nine years and knows a thing or two about keeping your nails looking fabulous without the damage. So get a bottle of acetone nail polish remover handy, because here’s what she had to say. You can absolutely do this at home but use the ‘acetone soak off’ method to keep damage at a minimum. Never rip the nail off as this WILL cause damage. If you’re getting this done at a salon make sure they also use the ‘soak off’ option. Look for salons use ‘hand filing’ techniques when buffing and filing your natural nail. They are far less abrasive than nail drills. Save money and protect your nails with this DIY acrylic removal technique. Image: Instagram @nailedbylarouge. Do acrylic nails damage your natural nail? While acrylics get a bad rep for damaging the nails, Lauren says the trauma comes from incorrect application and removal. From excessive filing to forcing the acrylic off, these are all things that can gradually damage your precious talons, which lead to flaky, brittle nails. Alternatively, the manicurist says investing patiently removing your nails at home can be a less damaging than the in-salon option. "I would say 95 per cent, 98 per cent [of salons], rip the nail off," she says. "They do it because it&apos;s quicker to do that than sitting there and soaking the nail off." "If you’re using force to remove the acrylic layer of the nail, it’s going to do damage. There’s no way to avoid it when you’re pulling it apart." Instead, she recommends this nail-friendlier technique. How do you remove acrylic nails at home? Although it&apos;s an easy process, it does take time and things can get messy, she warns. Using a nail file with a good grit, file away the top layer of the acrylic nail and trim the excess length with a nail clip. Soak your nails in an acetone-based nail polish remover until the acrylic dissolves. This can take anywhere from 30 minutes to an hour, or longer. To be safe, use a ceramic, glass or metal bowl for this step, as acetone can melt some plastics. "It needs to be swimming in acetone and surrounded from every angle," Lauren advises. To speed up the process, you can use from sort of cuticle pusher to break off the layers of the acrylic that are melting away. 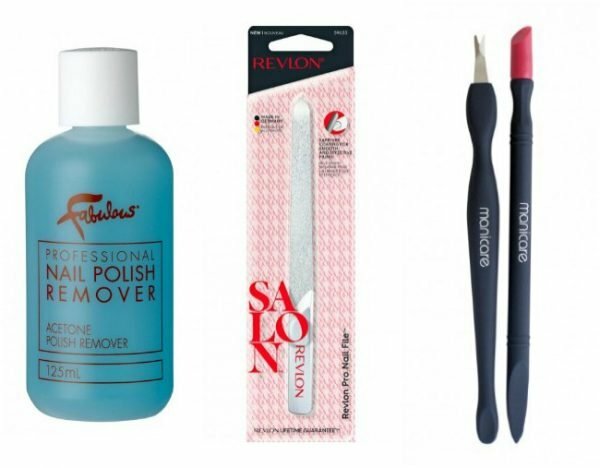 To TRY: Revlon, Salon Series Pro Nail File ($12.99), FABULOUS Professional Nail Polish Remover ($5.49) and Manicare Cuticle Trimmer with Cut Pusher ($11.49). Your 3-piece acrylic nail removal kit. Does soaking off the acrylic also damage your natural nails? While your nails might be slightly dehydrated from the acetone treatment, this process won&apos;t significantly damage the nail, and Lauren advocates using a simply Vitamin E infused product to moisturise. "If you don’t have anything like that, even some olive oil from the kitchen works," she says, and recommends you treat your nails and cuticles at least once every two days. "When it comes to moisturising the hands and nails, especially the cuticle area, people get caught up with certain products. It’s not that important what the product is, as long as you do it regularly." TRY: Crabtree & Evelyn Citron & Coriander Energising Hand Therapy ($16.99), Thankyou. Hand Cream Geranium & Rosewood ($10.98) or Essie Care Apricot Cuticle Oil ($16.95). 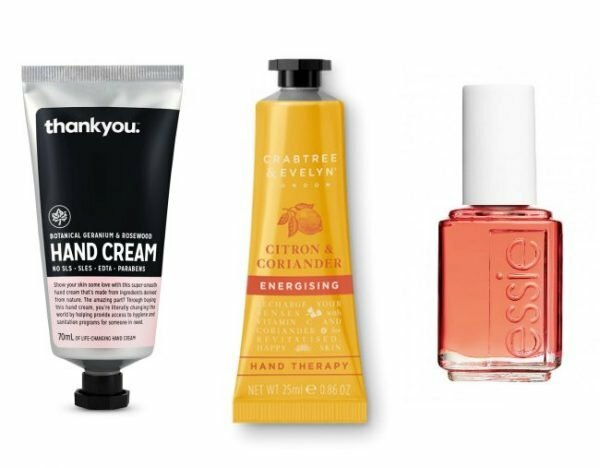 Show your nails and cuticles some TLC. We all know that prevention is better than cure when it comes to keeping your nails and hands in tip top condition and Lauren says they&apos;re two things you should look for when getting acrylic nails in-salon. Number one - as mentioned before, always ask for the &apos;soak off&apos; removal option, and number two - ask your technician to &apos;hand file&apos; your nails when buffing, and not the drill. This will go a long way in reducing trauma and damage, says Lauren. "When applying the acrylic, you only need to buff away the thin glossy layer of the nail. That&apos;s all," she explains. 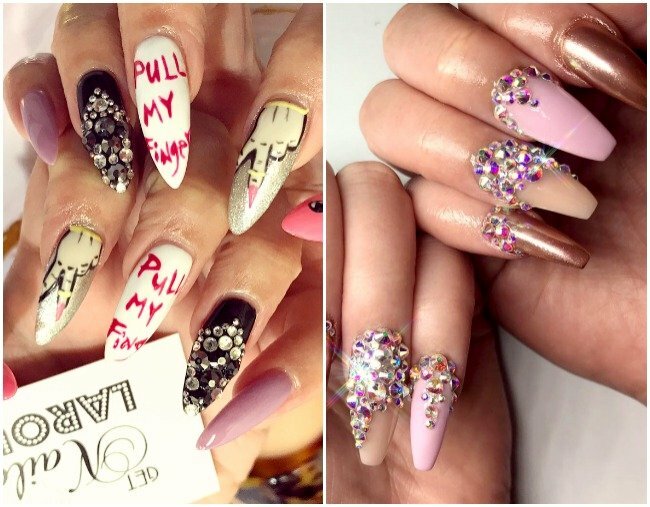 "Some salons will use the drill and go in hot and heavy and remove half the nail bed, before you’ve even had the acrylic applied. "That&apos;s unnecessary damage that is being done the nails." Have you tried removing your acrylic nails at home? Tell us your tips in a comment.